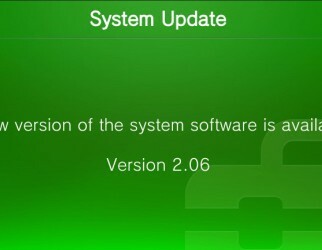 Although, no formal patch notes were given, version 2.06 is said to "improve system software stability for some features." This mandatory patch was released March 12. Upon further research, we can conclude that it fixes some lag issues in games Ninja Gaiden Sigma Plus 2 and New Little Kings Story. The update will also most likely fix some security issues. Also since this update was very small it went unnoticed by us, so sorry for the late post. Find any other fixes we didn't catch? Tell us in the comment section below!